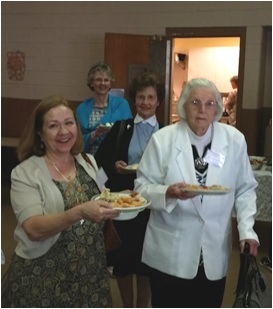 Our 2015 Women’s Day Project Luncheon was a wonderful day of renewing acquaintances and meeting new friends, with the “icing on the cake” being the singing of “Happy Birthday” to 95-year-old Barbara Bingham of Saint Matthew’s Church, Havertown, PA, on her birthday (May 1). 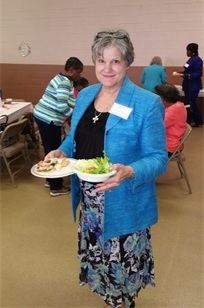 Seventy persons, including approximately twelve first-time luncheon attendees, from three dioceses: Mid-America; the Northeast, Mid-Atlantic and Eastern Canada; and the Southeast, gathered at Saint Paul’s Reformed Episcopal Church, Oreland, PA, on Friday, May 1, for the luncheon. This year’s project is to raise to raise $7,500.00 to assist in adapting the church building at Saint John’s Free Church of England, Tottington, Bury UK, as a center for mission and outreach to include a kitchen, lavatories, and community facilities. As of July 14, 2015, more than $7,300.00 has been collected. We are confident that, with God’s help, we will reach our goal, and we encourage your support of this project. Contributions made payable to the Committee on Women’s Ministry may be mailed to Mrs. Diane Wright, 65 Harrison Drive, Berkeley Heights, NJ 07922.